AFC - 05/07/06 Animal Torture in the Middle of the Town! Animals Friends and residents of the buildings No. 4 and No. 5 on Ban Jelacic Square are appalled: Animal torture in the middle of the town! 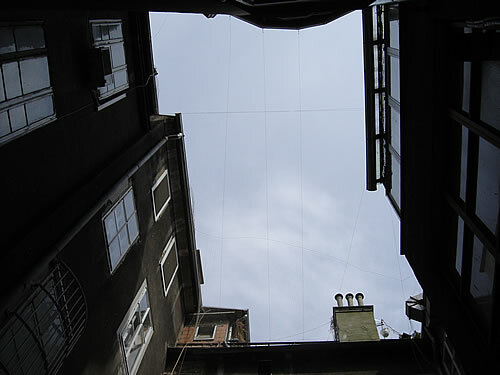 Investigating the query of residents living at Ban Jelacic Square No. 4, Animal Friends' activists witnessed and documented on camera a horrible scene. 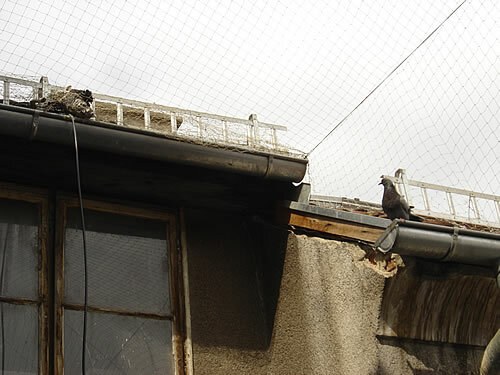 There was a few month-old dead kitten and the decaying corpse of a pigeon entangled in a net which was set on a building roof! 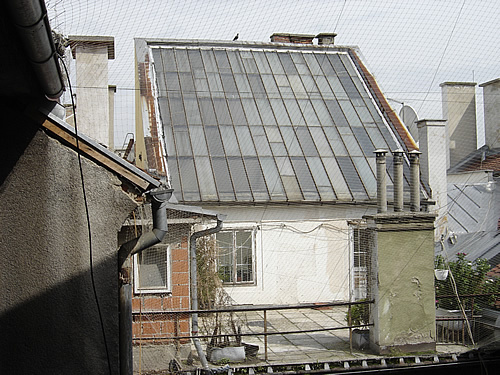 This scene turned up as a result of negotiations of eight residents of the building who agreed upon setting nets above the building roof and the yard, while Nada Brezicevic, representative of the building and co-owners Boris Culo and Gavrilovic meat industry organized and financed the final setting of the nets. Even a layman can see that the net, which shouldn't have been set in the first place, is set unprofessionally. It is disgraceful that someone makes money by working unprofessionally what directly results in animal suffering and death. Animals get entangled in the nets or die of hunger and thirst if they manage to get out of the nets and stay captured inside of yard because they can't find their way out any more. Unfortunately, the two residents who strongly opposed to the erection of such a scaffold were outvoted by the majority of other apartment owners who do not even live there but rent their apartments to persons and companies who don't care about the quality of life of other residents or the animals! It is interesting that even Tereza Gucic and Zuzi Jelinek agreed on the setup of this animal torture construction. Animal Friends reported this case to the responsible authorities in order to investigate the case and to finally remove the nets. 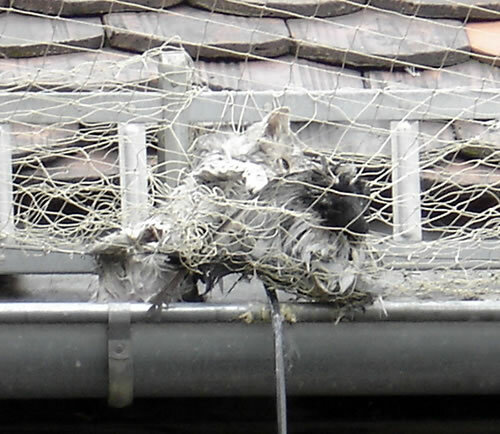 We believe that it is in not one's best interest, including the city authorities, to expose a ten year old boy and his appalled mother to the sight of a dying kitten crying in agony for help entangled in a net on top of four-story building for twelve hours while suffering fear, hunger and thirst while no one could help him. This scene must also have been painful for the mother cat, crying and watching over her dying kitten. We call the media to report about this case and that way contribute to the urgent removal of the nets and to prevent further animal victims.